Online chatbot Ubisoft Sam has answered over 10 million questions for 1.6 million users in the last 12 months. Sam went worldwide last May after a brief soft-launch period in Canada. Pitched as an online gaming assistant, the chatbot can be conversed with through voice or text chat to provide information and trivia on Ubisoft games. 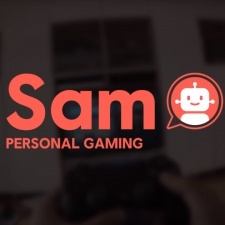 Speaking to GamesBeat, creative director Charles Huteau claims Sam now answers roughly 25,000 questions a day. Around 35 per cent of that is small talk, rather than the analytics or information services offered by the tool. An extensive analytics image shows that 3,000 users asked Sam to play Despacito, and they're more likely to say "I love you" to the bot companion than use a certain expletive aimed at it. Importantly, Huteau believes the Sam has survived the honeymoon period and that users are finding real value in an online assistant. “We are really happy with that because they are chatting with Sam as if they were chatting with a friend,” Huteau said. Sam did inadvertently reveal the fact that Watch Dogs 3 was in the works in April 2018, which is pretty funny, also.